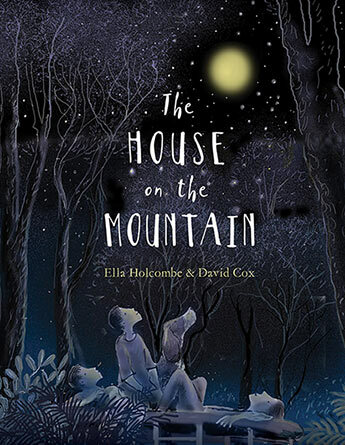 ELLA HOLCOMBE grew up in Kinglake, in a house on a mountain, with her younger brothers and a Brittany spaniel called Brittany. Her parents were both teachers and her childhood was filled with music, books, wombats and plenty of watermelon. Now she lives in Melbourne with her partner and their band of wild things - Harry, June, Eva and Pepe - but they still escape back up the mountain whenever they can. Ella's first collection of poetry, Welcome/No Vacancy, was published by Five Islands Press as part of their New Poets Series. DAVID COX was born and reared in country Queensland. He worked as a jackaroo on outback sheep and cattle stations before enrolling, at 21, at St Martins School of Art in London. Back in Australia he became a newspaper artist, winning a Walkley Award, while also illustrating and writing many award-winning children's books, including four CBCA-shortlisted titles. In 2007 he won the Dame Annabelle Rankin Award for distinguished services to Children's Literature in Queensland. David works from his home studio in Brisbane, and one of his hobbies is singing. He is coached by his wife, pianist/composer, Betty Beath. Betty and David have written music theatre pieces about St Francis of Assisi, and David regularly acts as cantor at St Phillips Church, which is attached to a Franciscan friary.